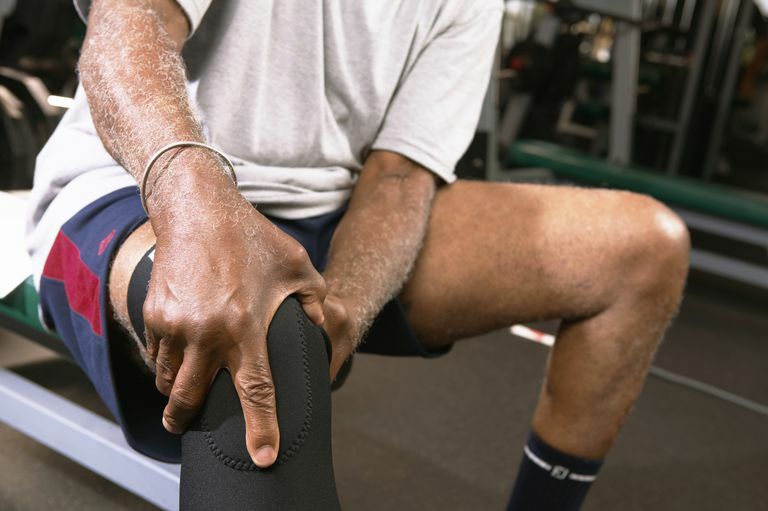 Patients should consider trying a knee brace to see if there is noticeable benefit. The knee brace would be a complementary treatment, to go along with any other treatments being used. Knee braces should not replace other treatment options. Usually, knee braces are recommended for patients who have ​cartilage loss in one component of the knee, also known as unicompartmental knee damage. Osteoarthritis most commonly develops in the medial component. Single-piece sleeves made of neoprene, an elastic, rubbery material, are the most simple knee braces. The knee brace is pulled on over the foot of the affected leg and is placed over the knee where it provides compression, warmth, and support. This type of knee brace is for mild to moderate osteoarthritis and it is available over the counter in most drug stores. The fit should be snug. An unloader brace is a semi-rigid knee brace made from molded plastic and foam. Steel struts inserted on the sides limit lateral knee movement and add stability. This brace is custom-fit to each individual patient for whom it is prescribed (usually, patients with medial component osteoarthritis). Essentially, it relieves pain by transferring pressure from the inside to the outside part of the knee. The unloader knee brace can also be designed for patients with cartilage damage in the lateral component of the knee, as well as patients with severe osteoarthritis of the knee who are looking for temporary pain relief while they wait to have knee replacement surgery. To purchase an unloader knee brace, the patient must obtain a prescription from an orthopedic doctor, and the brace must be purchased at a store specializing in orthotics. Experts suggest that patients allow a week to one month to adjust to how the unloader brace feels. Right from the start, don't expect comfort. It takes a little time. Experts also warn patients about becoming too reliant on the unloader brace. Take it off from time to time so you can exercise and strengthen muscles. It's also important to remember that a knee brace is just one part of a patient's treatment regimen. Don't disregard other aspects of your treatment regimen without first talking to your doctor. Brace Yourself for Knee-Pain Relief. Cleveland Clinic's Arthritis Advisor. Belvoir Media Group. September 25, 2007.